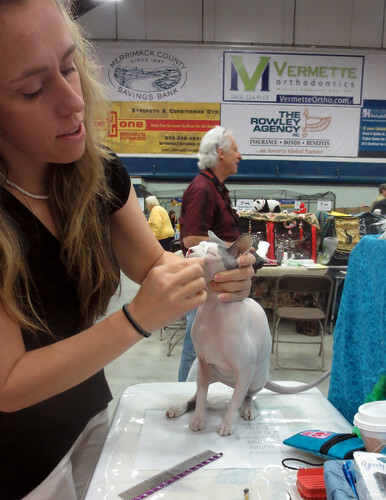 It’s part of a slideshow about the Cotton States CFA show in 2008 published by the Atlanta Journal-Constitution. Not sure how I missed this…but then, I wasn’t really doing this blog on a daily basis back in 2008. 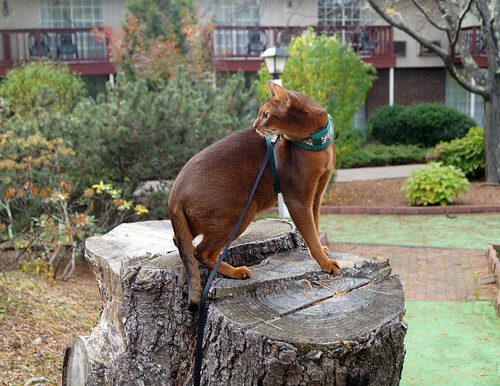 Recently, our friend Summer the Somali met Richard, too. 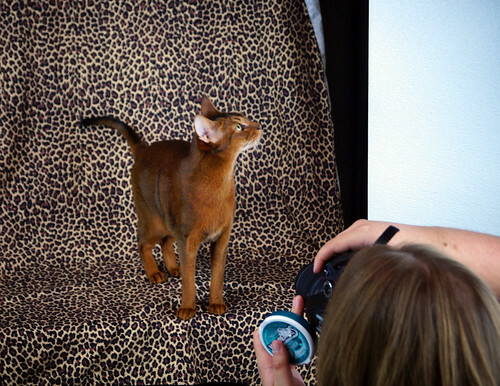 Apparently, she wasn’t the best model, but I can’t wait to see her photos! 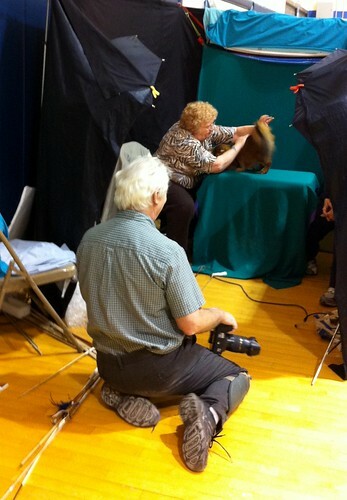 This isn’t Summer, but I got to watch Richard work with another Somali at one of the shows we went to in Groton, CT, a few years ago. 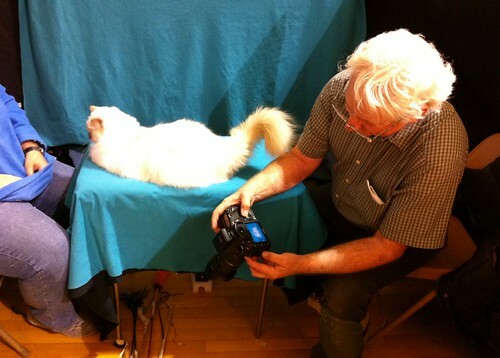 Here, Richard checks the shots he’s taken of a red-point Birman. I love watching Richard work. As I’ve said many times, I’m a total fangirl. He’s one of my heros, my idols, my inspirations…and that’s really true. Growing up in California in the 1970’s, I remember seeing his photos when he was starting out. 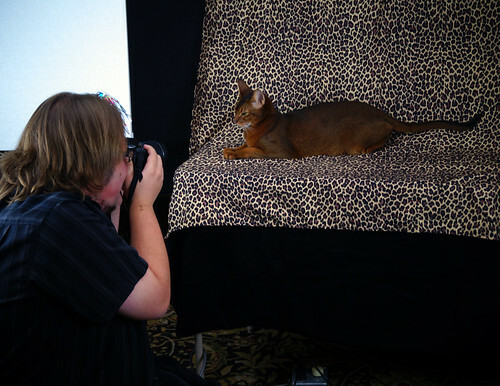 He’s become one of THE cat photographers in the country (there are others, but he was really the first). And not only that, he’s utterly and completely just a nice guy. I love talking with him. He has a million great stories that he’s happy to spin for you as long as he isn’t working. 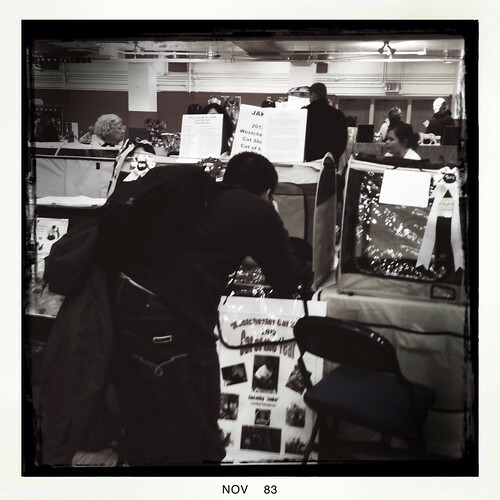 You’ll often see him wandering about the show hall with his camera, taking candids and chatting. 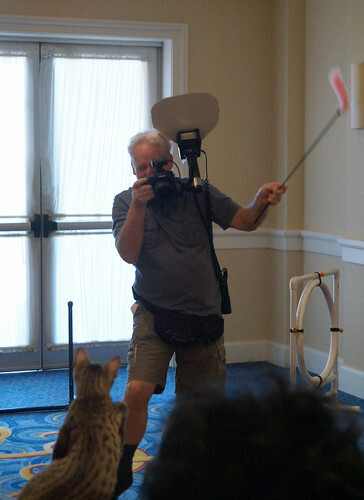 I’ve had some great conversations with him; once, he gave me tips on my new SLT camera, and then at the Seacoast show in Concord, NH, we shared tricks we use in Photoshop to touch up cat photos. And he doesn’t just do portraits! 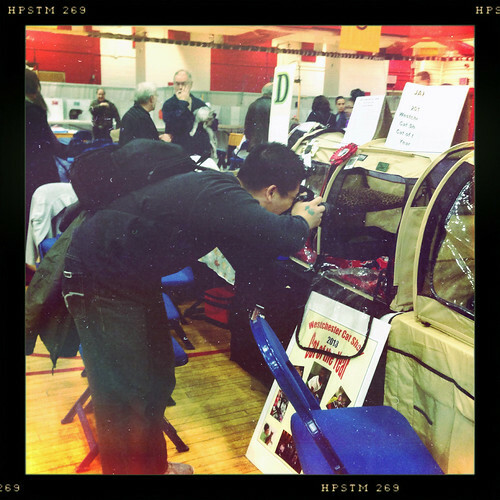 Here he is talking shots of an Egyptian Mau kitten in the agility room at the CFA Annual in Quincy, MA. I got to see him again at the World Show in Philadelphia this past November. Sadly, it was much too busy to really have time to chat. Perhaps I’ll get a chance again if he’s at the Seacoast show in May. 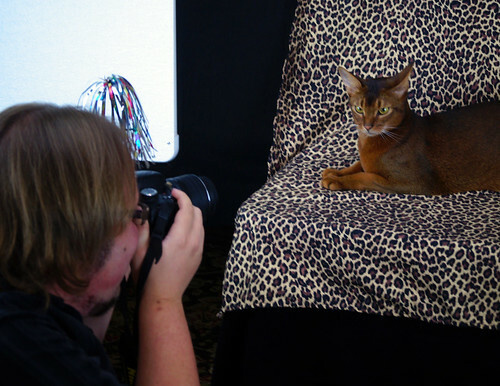 Maybe I’ll even have Jake’s photos taken again! 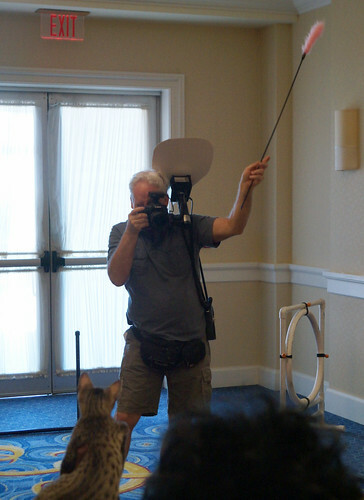 He doesn’t take photos of humans often, but it’s been known to happen…I even got my photo taken with Jake once! Of course…I was in costume, but still. 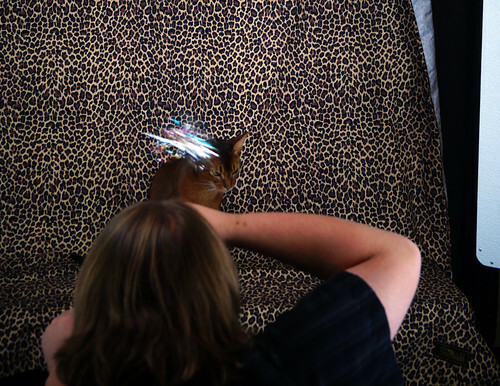 One of my all-time idols took a photo of me and my cat. It doesn’t get much better than that. Look at these photos of Jacoby and his father, GC Pellburn Scarface Cat Pacino, both taken by Chanan six years apart. This is Scar in 2006. This is Jake in 2012. Of course, they aren’t identical twins; Jake was three years old when his photo was taken while Scar was only two, and Scar was a whole male so he had the fuller jowls, but you can definitely see the family resemblance! 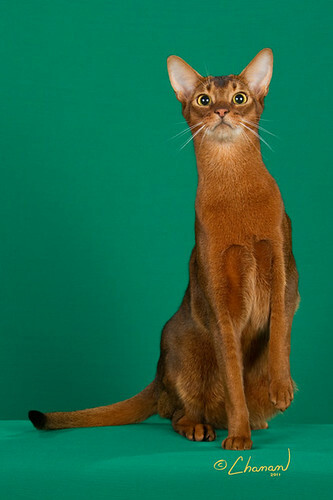 And, just for fun, here’s Jake’s mother, Ch. 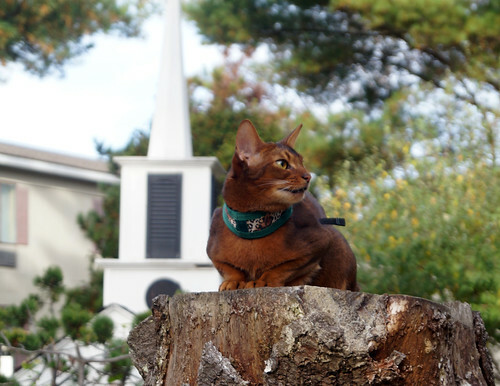 Instincts Santa Catalina of Pellburn, in a photo taken last year. Jake takes after his mother quite a bit, too! 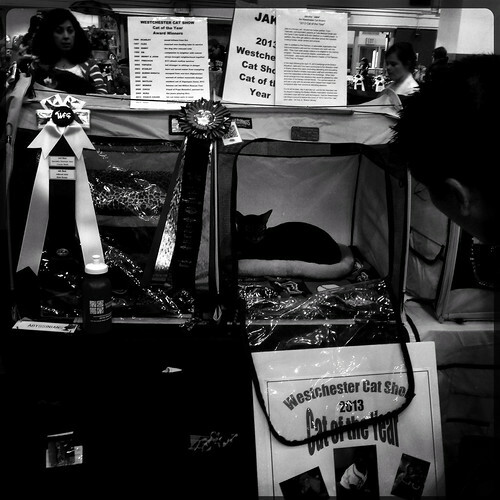 When Jacoby and I were at the Westchester Cat Show, it seemed like everyone knew who he was. Even when he was just chilling out in his borrowed show cage, Jake was a center of attention. A lot of people wanted to take his photo. Of course, Jake was completely fine with that. I’ve never seen him turn down a photo opportunity! Like this young man, who asked if he could take some photos of Jake. Of course, I said yes…and he took more than a few photos. I thought he was going to stick his head right into Jake’s shelter! 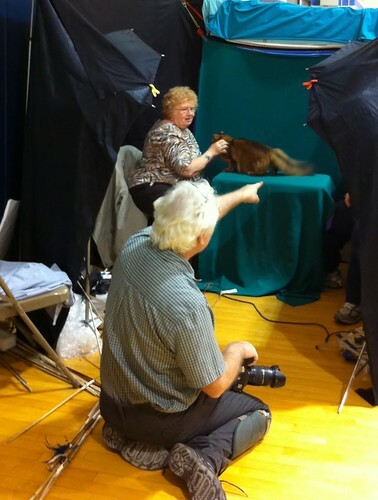 I really wonder how his photos turned out. I wish I’d thought to give him my card so he could send me copies. 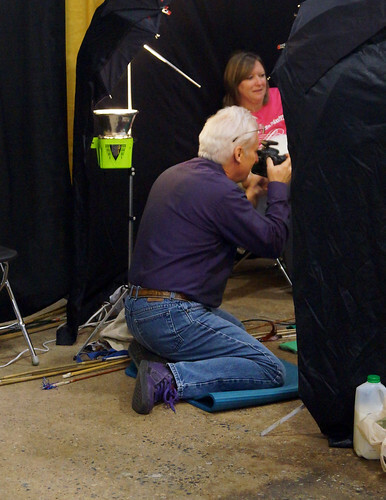 At the Westchester show this past weekend, the club had a photographer, Olek Kuperberg, taking candid shots throughout the day. Here are the ones he took of Jacoby and I. A cat nap between rings. Close up on his face. 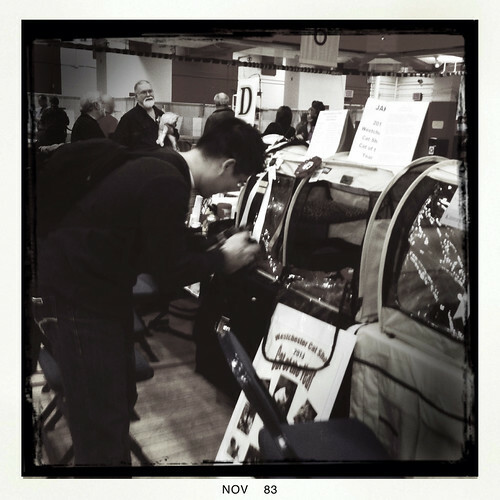 …from the back, though, not so much. You can see all of the shots he took on his website. 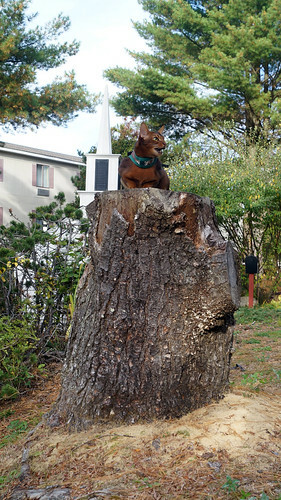 So, when we were on our way to our hotel room at the NEMO show last month in Sturbridge, I couldn’t wait to get some photos of Jacoby on this big tree stump. And Jake being Jake, he was perfectly willing to oblige me and pose on it. It was a gorgeous autumn afternoon. 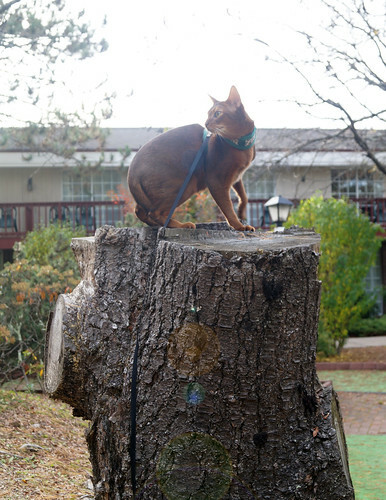 And it was a wonderfully huge tree stump. 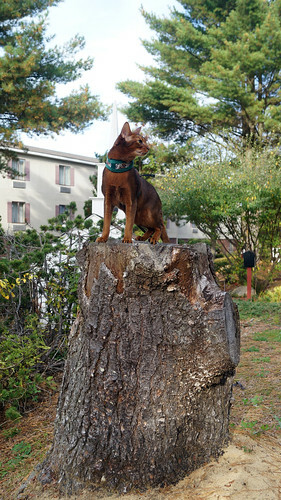 And Jake was pleased as punch to be up on top of that big stump, too. My dad always told me not to shoot photos into the sun, but sometimes, it works to your advantage and gives you some dramatic shots. You know, the “pensive looking into the distance” kind of shot. Jake’s really good at that. 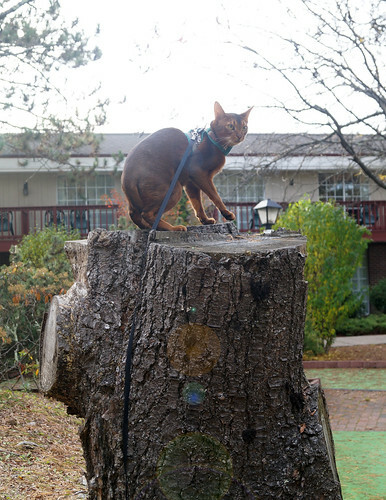 I think he was really enjoying that tree stump. 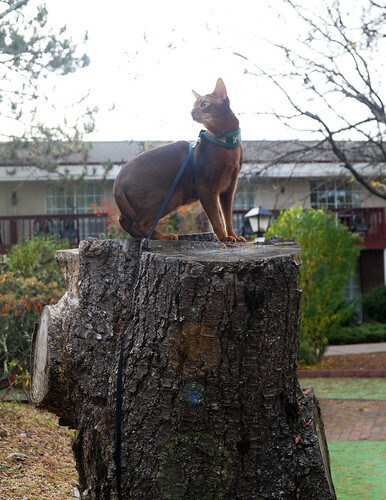 When he was on it, he was taller than I am, and cats always love to be as high as they can be. Plus, he’s always happy when he’s getting his photo taken…no matter where we are. 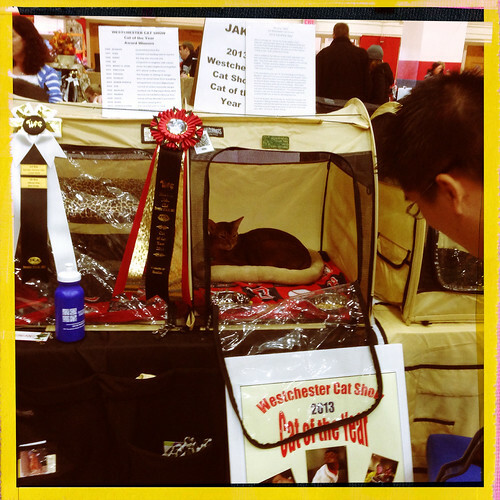 One of the best things about cat shows is the raffle table. Some of the prizes are really great, and there’s actually a decent chance of winning the prize you’re interested in. 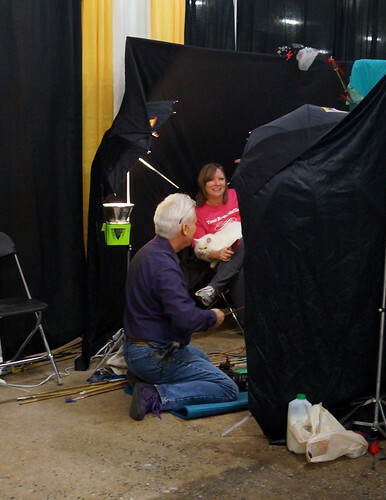 At the NEMO show, I bought 100 tickets and really wanted to win two prizes: the Thundershirt on Saturday, and the photo session with Bille Axell, the show photographer, on Sunday. Coincidentally, these were the two prizes I won! 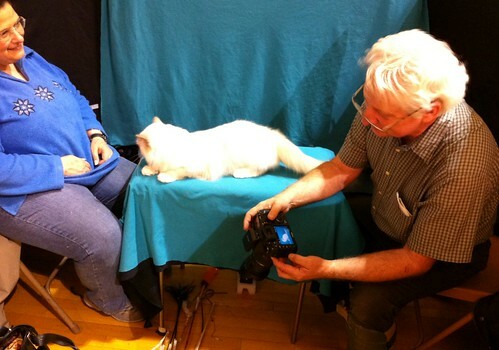 The photo shoot was the most awesome prize I’ve ever won at a cat show raffle. 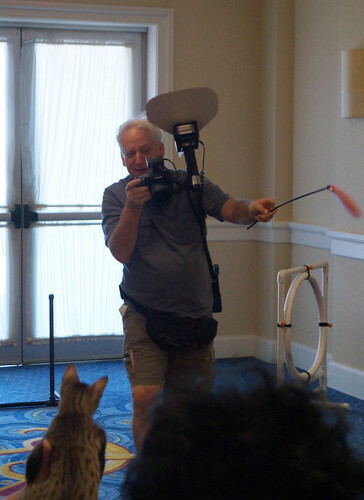 Jacoby’s had a few professional sessions at shows, including two with my idol, Chanan, but this was one of the most fun. 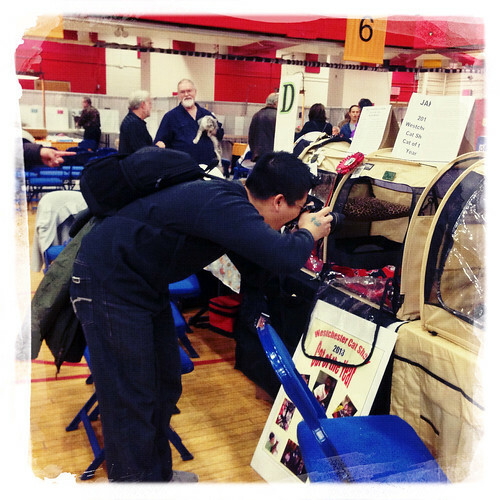 Part of the fun was that the raffle winners were announced before all the judging was completed. 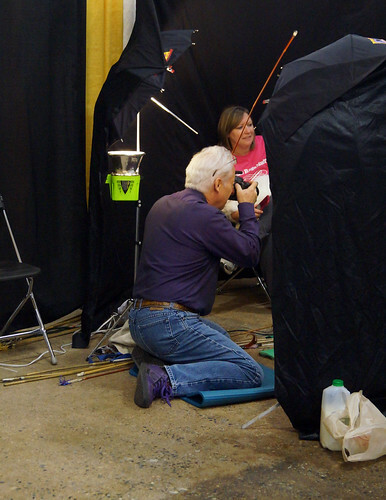 Bille is a candid photographer as well as a studio photographer, so he was more than willing to take some extra photos as part of my prize package. Russell Webb’s finals hadn’t been announced yet, and Jake has historically done well in Russell’s rings. 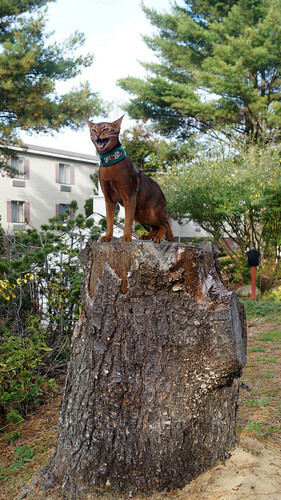 This year, we’ve seen him at two shows (Seacoast in Concord, NH back in May, and Sanguine Silver/Half Moon in Boxborough in August) he was Best Cat in Premiership and Second Best Cat in Premiership. 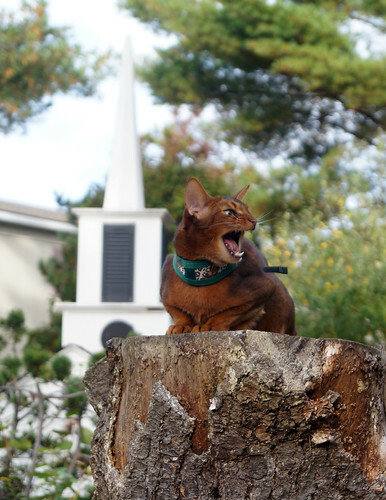 So I asked Bille to wait to see how Jake did in Russell’s shorthair specialty ring. 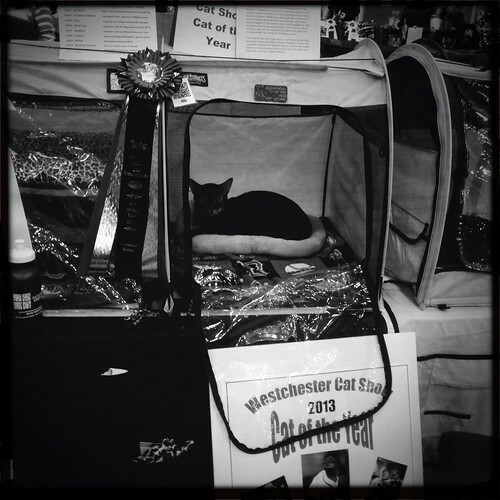 And it was worth waiting for…Jake was Best Shorthaired Cat in Premiership on Sunday! Bille was also very open to suggestions and improvisation, which made it that much more fun. 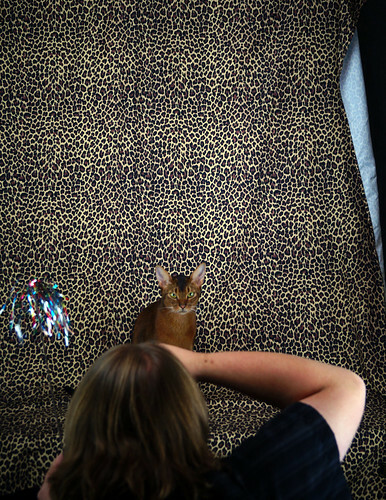 When he asked what colour background I wanted, I suggested we use Jake’s signature leopard print instead of the conventional solid. Bille thought that was an awesome idea…and I think it turned out really well. Bille also thought it would be fun to take a few shots of Jake with my camera. I love these. 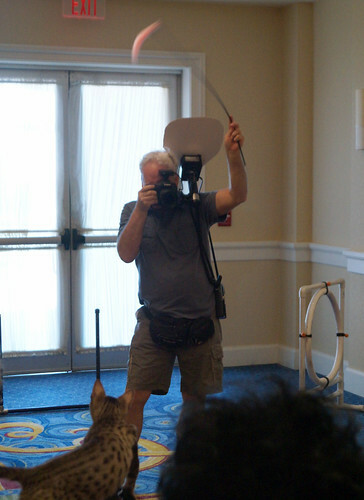 Bille also let me take a few photos of him taking photos of Jake. 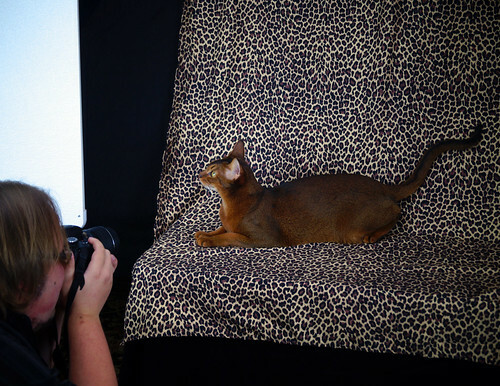 If you’ve ever wanted to know what it looks like behind the scenes of those amazing studio portraits you see of cats online and in magazines…well, this is what happens! 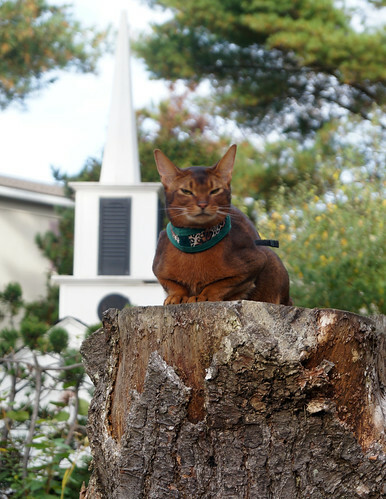 And be sure to check out Bille’s website to see more of his wonderful photos!